Bernhard taught at the universities of Frankfurt, Dortmund and Essex before coming to Kent in 2008. His main interests are: early modern literature and culture, Irish studies, maritime culture and history. He has written Maps and the Writing of Space in Early Modern England and Ireland (2001; paperback 2016) and On the Uses of History in Recent Irish Writing (2007). Other publications include various articles and book chapters in English and German, too many book reviews, and several edited collections, including Literature, Mapping and the Politics of Space in Early Modern Britain (with Andrew Gordon, 2001; paperback 2010), Fictions of the Sea: Critical Perspectives on the Ocean in British Literature and Culture (2002; paperback 2016) and Sea Changes: Historicizing the Ocean (with Gesa Mackenthun, 2004). He is currently working on the sea as a cultural contact zone in the early modern period. 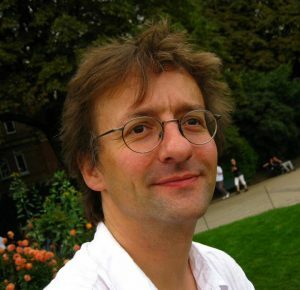 From 2002 to 2007 he was book reviews editor for the Journal for the Study of British Cultures. Bernhard will co-supervise one MOVES research project: “Cultural Encounters, Early to Late Modernity: Patterns and Challenges”.